The GUBB USA cotton pad dispenser with mirror is perfect tool for removing makeup or carrying out your daily skin care routine. 2-in-1 mirror with cotton pads. You can easily twist and dispense the cotton pad and wipe your face looking at the mirror at the back. Small mirror helps to see smaller areas more closely, helping you remove makeup easily and efficiently. GUBB USA, the international grooming range from "U", is a renowned name in the field of personal skin care items and brings quality products at affordable rates. 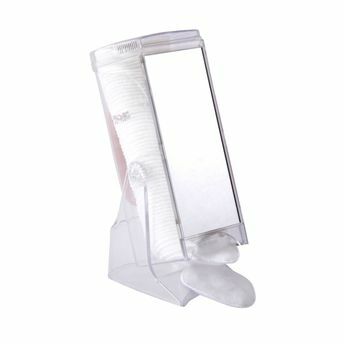 Try Gubb USA cotton pad dispenser with mirror today!